StarBargains.co.uk is a new website that has been launched by Yorkshire’s favourite bargain food retailer, Fultons Foods, that offers at least 50% off supermarket prices. 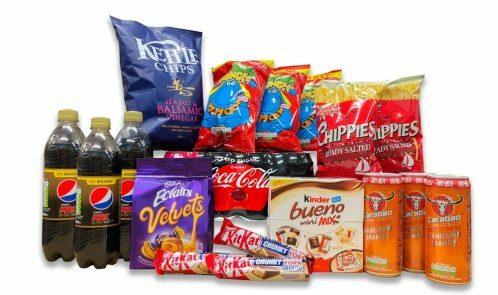 It offers an ever-changing selection of food and drink products from big name brands at significantly lower prices than supermarkets, as it sells items sourced both direct from manufacturers and from supermarkets’ surplus stock. Are your products items that have short shelf lives? 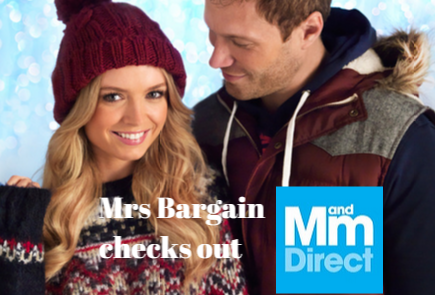 Mandmdirect.com is “one of Europe’s leading online, off price retailers”, but still one of the web’s biggest secrets – just check out the brands and deals on offer and it may become your best fashion and sports secret too. What discounts can I expect at MANDMDIRECT.COM? MandMDirect.com gives you up to 75% off big brands, 365 days a year. Check the site regularly to make sure you don’t miss out on the biggest brands at the lowest prices. Tell me about the MANDMDIRECT story. 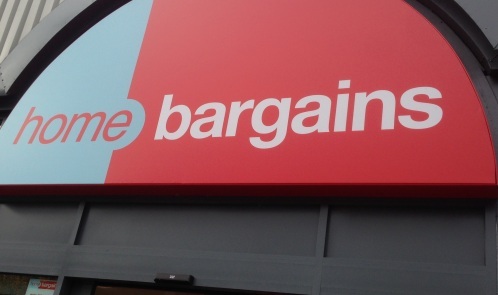 I visited Home Bargains for the first time this weekend. When I walked in it was a light and airy store as it’s new. It reminded me a little of the 99p store I visited recently. What did I like about it? Well some products that were well below their RRP and they were genuine RRPs as I buy some of the products already. I also liked the fact that you could get bigger items and better quality items as there is no upper price limit on their stock, unlike the pound stores. So this mega store has fashion for the whole family; accessories; homeware; footwear; beauty products and confectionery. 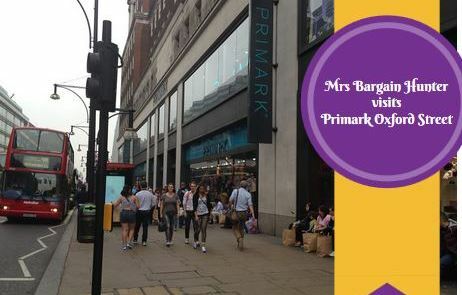 I couldn’t take pictures of everything but their “designer-look” shoes (everything is Primark’s own brands) were £22, winter coats at £25, dresses at £10, pants at £1.50, trousers at £8, the list goes on. The store was packed but there was still room to move around, not like the cramped one in Birmingham City centre. After my post about SecretSales and my penchant for TKMaxx, I started to look around a bit more to see if I could find other designer outlets online. I found Fashionista Outlet and here’s what you need to know about the retailer. 1. What is Fashionista Outlet? 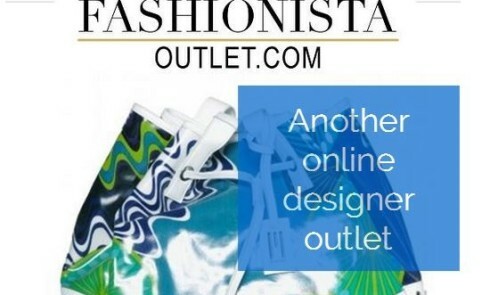 www.fashionista-outlet.com is an online retailer of discounted designer fashion. The designer outlet offers luxury clothing at competitive prices. Clothing, shoes, bags and accessories are all on offer here, making it a one-stop-shop for discounted designer fashion. 2. How does the site stand out from competitors? 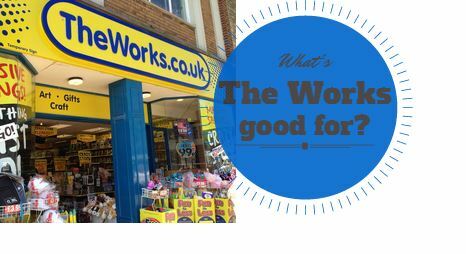 Full of discounted books, stationery, art supplies and more, The Works is a veritable treasure trove. There are 300 stores in the UK and I must admit the first time I visited one, I thought it was going to be full of tonnes of cheap tat. I was actually put off going in as I expected to see plastic buckets and mop heads next to toilet rolls and dusters. However, I have braved the store since and love it. I have bought small toys for party bag gifts, art pencils, quirky gifts, coloured card, an easel, stocking fillers and card making kits there. The Works says it is now marketed as Britain’s leading discount store and they have very high stock turnover due to high demand from consumers. Today I thought I’d check out HomeSense, a store that recently opened up here, but is part of a national chain. Now HomeSense is part of the TJX family, which also owns TKMaxx, and there are definitely similarities. I would say that if you want quirky, cool stuff for your home, this place fits the bill. 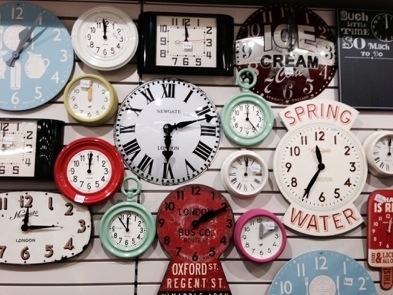 I loved the selection of clocks above. There are some well-known brands there. I saw Christy, Monsoon, Dartington, Royal Worcester and Sabatier. I also saw some unknown to me brands from the US and Switzerland. After the programme, The Secret of the Discount Stores, I am a bit sceptical about brands at TJX stores, so my eagle eyes are open a little wider when I enter their stores. No Comments on Can Morrisons really take on discount rivals Aldi and Lidl? 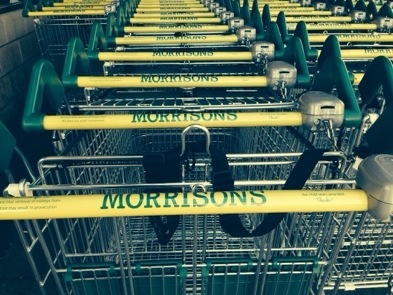 Can Morrisons really take on discount rivals Aldi and Lidl? 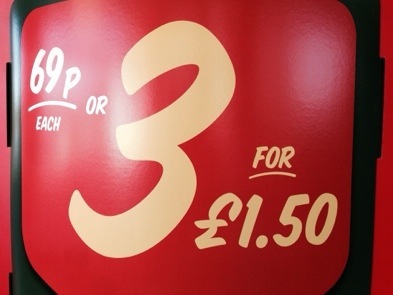 Good news for us maybe as Morrisons joins the discount wars. I shop mainly at Aldi and complement it for my favourite branded goods at Co-op and Morrisons, so when Morrisons said today that they will be giving us more discounted products, that made me smile. 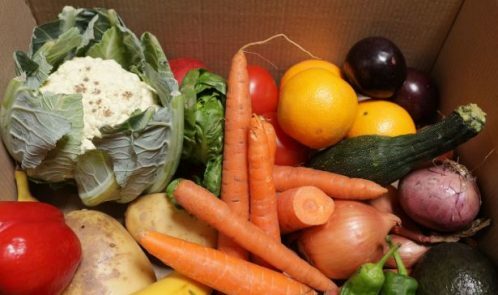 I already noticed their market street offers with some fruit and veg for 49 p including broccoli and cucumber, and this week saw 3 selected veg for £1.50 or 69p each.